(News Investigators)/A former Chairman of the Economic and Financial Crimes Commission (EFCC), Nuhu Ribadu says the people of northern Nigeria are the most backward in the world, even as he faulted the continued practice of the Almajiri system in the part of the country. Mr. Ribadu lamented that the Almajiri boys in the north have been victims of the worse form of human rights violations, saying crucial look is required to redress the situation before it further degenerate. The former EFCC boss spoke Wednesday in Abuja at the launching of books: “Sect and Social Disorder” and “Creed and Grievance” edited by Abdul Raufu Mustapha, and “Quranic Schools in Northern Nigeria”, written by Hannah Hoechner. The event was organized by Premium Times Newspapers. “We are the most backward people in this world, the society of northern Nigeria. Look at all the indices in the world today, we are the worst why? 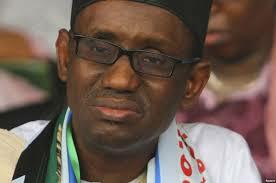 How can we continue to deny ourselves our future?” Mr. Ribadu said. Adding that, “There is no worse – in the form of violation and abuse of rights more than the Almajiri system, yet people are justifying it comfortably calling themselves as products of it. I think we have to look at it crucially otherwise we will continue to go that direction that we will not be able to solve her problems. “I am from Yola, we have similar culture with Kaduna, Kano but we don’t have Almajiri, what is happening? We are also Muslims. There are lots of areas where we have similar things. Which education are we talking about, these are some things that are incredible and you don’t know where to start,” he said. Mr. Ribadu recalled his experience as police investigation officer, painting gory picture of the horrible fate that befell the Almajiri victims during violent clashes. “I worked on many of those crises and conflicts as a member of the investigation team and tribunal, I was in Zango Kataf, I was in Tafawa Balewa, I was in Kaduna religious crisis, I was among the prosecutors of El-Zakzaky in the 1990s,” he said. “During the Kaduna religious disturbance of 2000, we visited where they buried the victims along Birnin Gwari road, they opened the graves for us, what I saw is still haunting me. There were bodies, all of them young boys, no girls that is talking about Almajiri – boys over 100 buried in mass graves and no identity, not a single one of them had a name and they were all buried, I got interested in this. “I said let me see and get it touch with those who are responsible for it. They were victims of the crisis that took place in Kaduna because of the Sharia riots. They said they did not have their identity or Mallam responsible for them? They said no. Did anyone come to complain that they have lost a child? Also speaking, Archbishop of Sokoto Catholic Diocese, Matthew Kukah, urged the people of the north to tolerate themselves. Mr. Kukah called on northern Nigerian people to come to terms with issues around ethno-religious differences between them, which will help in ending violent conflicts. “If we were serious Christians or Muslims we will not be having this conversation, we in the northern Nigeria, we have to help ourselves,” he said.